The 2019 Littlewoods Ireland Camogie Leagues Division 1 Final will form part of a triple-header with the Allianz Hurling and Football Leagues Division 1 Finals in Croke Park on Sunday March 31st. The clash between Galway and Kilkenny will take place at 12noon. 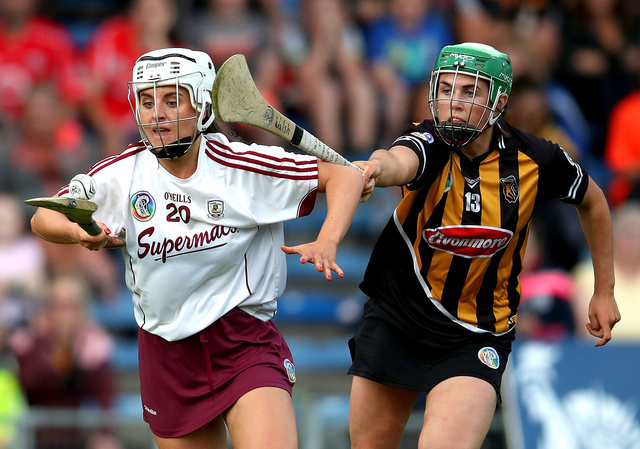 • The Littlewoods Ireland Camogie Leagues Division 1 Final Galway v Kilkenny (Sunday March 31st) will be broadcast live on TG4 and streamed worldwide live online via TG4 at www.tg4.ie/ga/beo/baile/ from 11.55am. • This fixture forms part of a triple-header along with the Allianz Hurling (Limerick v Waterford @ 2pm) and Football (Kerry v Mayo @4pm) Leagues Division 1 Finals. Tickets for this triple-header can be purchased online via www.gaa.ie/tickets/ as well as from Centra and SuperValu outlets nationwide, and outside the ground from the Ticket Office at Gill's Corner on matchday.